Possibly the most wonderful film I have ever watched so far, other than the movie Her. 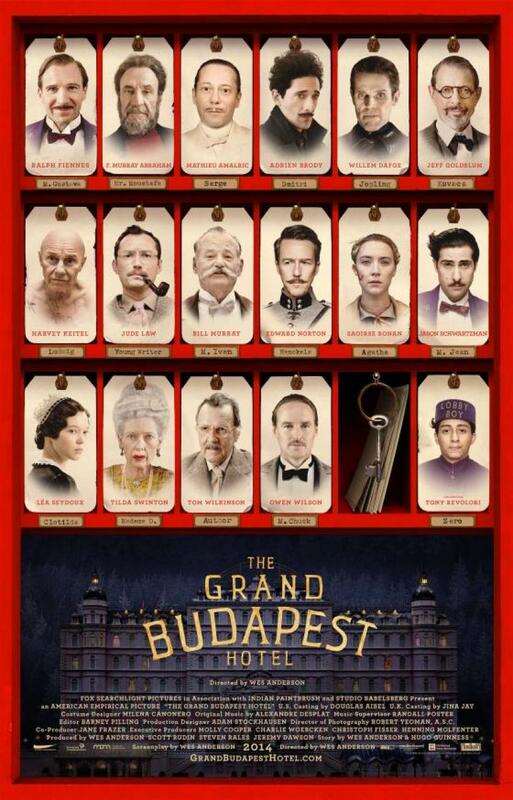 The Grand Budapest Hotel recounts the adventures of a famous concierge, Gustave H. and lobby boy Zero Moustafa during the wars. With murders, a prison break and a stolen Renaissance painting, my heart stayed with the movie throughout. I felt that the storyline was interesting enough to keep me engaged. With good pacing as well as dialogue, there was not a moment when I felt bored. Also, the layering of the various dimensions was interesting. It was modern day and a teenage girl went to visit the monument of the writer with his memoir in hand. Once she started reading the book, we were brought back to the writer’s home as he shared his thoughts on why he wrote the book while caring for his grandchildren. After his short author’s note, we enter the world of the story – the author was presented as a young adult and sat to dinner with Mr Zero Moustafa. The last dimension would be the world where everything happened – Zero Moustafa was the new lobby boy and befriended Gustave H.
Okay, it does sound a little complex but the movie did the transitions seamlessly and with ease. It was not confusing at all, and I felt the layers of the various dimensions actually added to the whole beauty of the film. Serving as a reminder of how wonderful story-telling can be – in the form of reading a book, writing a book and having a conversation. They all share the same ability to share something beautiful, compelling and deeply personal. In my opinion, this is a great reminder to have in today’s world especially, since we take books and face-to-face conversations for granted. The other aspect of the movie that really struck me was the cinematography. Gorgeous. Breath-taking. Fascinating. The pieces of art featured were amazingly detailed and consistent in style. Even the perspectives taken for filming reminded me greatly of illustrations done in storybooks – centred, pastel coloured and constantly bringing out the beauty in every situation. The lighting was done in a delicate fashion as well. It was simply magical with a slight touch of fairy tales. Anyway, before I stop gushing about this movie and finally end this blog post, I really appreciated how the characters were all portrayed in a quirky fashion. Even though some people may find them unrelatable and absolutely ridiculous, I loved the exaggerations and how each character is done in a caricature manner. After all, it brought out each of their main characteristics really well and made me find humour in the most unexpected of situations. Quirky with a spoonful of realism. Why not? Okay. I should stop. I can go on for days when a movie is really really good. Definitely a beautiful movie that I can spend the rest of my life rewatching.